The capital city of the state of Uttar Pradesh is well-known for its ancient heritage and deep-rooted culture. Lucknow, with its ancient architecture, has a distinct style that is perhaps unique. Blending the age-old aesthetics with modern needs are new offerings in the real-estate sector here. In keeping with the preservation of the main parts of the old city intact, developers have been fanning out to create expansive living spaces for the citizens of Lucknow. Sultanpur Road has become a favorite destination. The developments in this region are beneficial as it allows for open expansive zones for a peaceful environment. A new residential enclave called Kutumb Project Lucknow is coming up here. This is a sublime and smart piece of superlative architecture. It spans a total of 6 acres. There are 750 elegant abodes that are arranged in tall towers for a homogenous look. The sleek campus offers homes in 2 BHK and 3 BHK formats. It is adorned with greenery and openness, flanked by water features, to add charm. This property is the creation of Excella Infrazone LLP, a brand that has rich experience in the field. It is remarkable how the global standards of modern design have been intertwined with Indian sensibilities within the property’s plans. The apartments cover areas in the range of 900 sq. ft. to 1095 sq. ft. The modern interiors include the use of marble and use of smart fixtures and fittings which overlay a well-planned layout to ensure comfort. 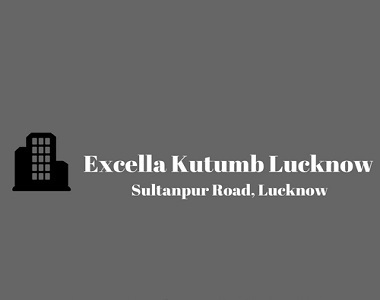 The name Excella Kutumb Lucknow is apt as it fosters a spirit of fraternity and community living. The sheer amenities here help to create bonds of friendship between co-residents. There is a clubhouse, a meditation center, and play area for kids; daily needs shop, swimming pool, and gym, multipurpose hall, jogging track, tennis court, and green parks. The tight security, power back-up, and 24-Hour water supply are essentials to make life stress-free. The cost of these homes starts at Rs. 24.30 lakhs only. It is well-connected to social utilities and to main area s of Lucknow as well.